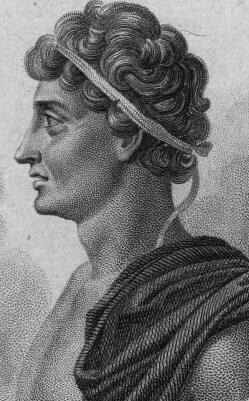 Gelon was a 5th-century BC ruler of Gela and Syracuse and first of the Deinomenid rulers. Originally a priest, Gelon fought in a number of the conflicts on Sicily and earned a reputation as a formidable soldier - and became commander of the cavalry for Hippocrates, tyrant of Gela. In 491 BC Gelon seized power in Gela with the help of the army - and in 485 BC he conquered Syracuse, which prospered under his rule. In 480 BC, he won a massive victory at the Battle of Himera against a formidable Carthagenian army. He died in 478 BC after ruling Syracuse for 7 years.